What kind of cook top you are using? Electric, induction or gas? How many family do you have? 2? 3? 4? This information is important when you choose the right wok. Spatulas is more common tool for stir-frying in a wok, although there are some chefs prefer to use spoon. be appreciated. It sounds like a stainless spatula is what I am looking for. I do have a really good cast iron wok to recommend. It is the one I am using in my recent cooking video. I am working on a video to introduce this wok and will post it this week. Would you please come back and check this video? Good work! Thanks for sharing resourceful content. 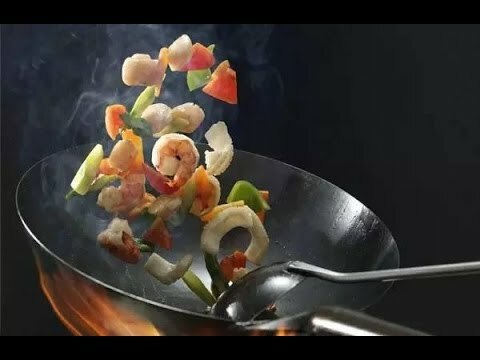 I want to buy this wok for survival cooking. Can you help me for this? Would you please check the link to the wok here bellow? You can place order to purchase the wok.